Argh. It has been almost three months since my last post. Time for some introspection? Excuses? Self flagellation? Pledges to post regularly from now on? Well, maybe an implied pledge. Because obviously I’m starting to blog again. 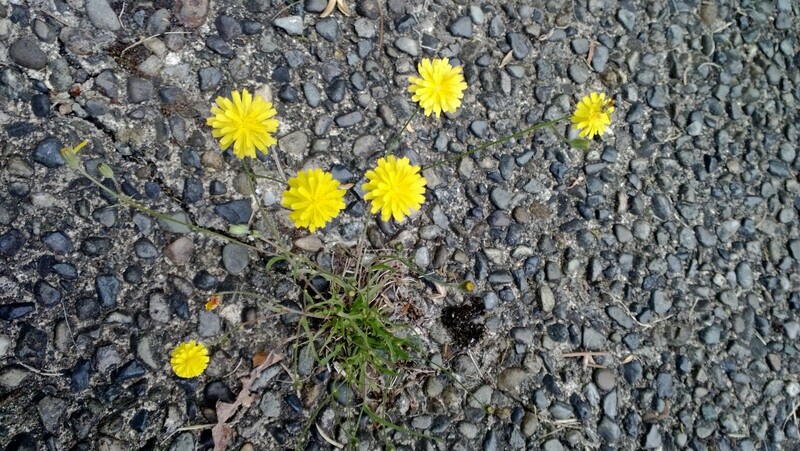 I found this dandelion growing in my driveway the other day. Nature finds a way to keep growing. It inspired me with its tenacity and simple beauty. I want to be like this dandelion. Push through the cement and grow like a weed. This entry was posted in Life, Writing Path and tagged acceptance, distraction, procrastinate, writing. Bookmark the permalink.